Brothers Vince and Paul Rugola, joint Managing Directors of Adelaide City Concreting, run one of the largest concreting businesses in Adelaide’s Western Suburbs. 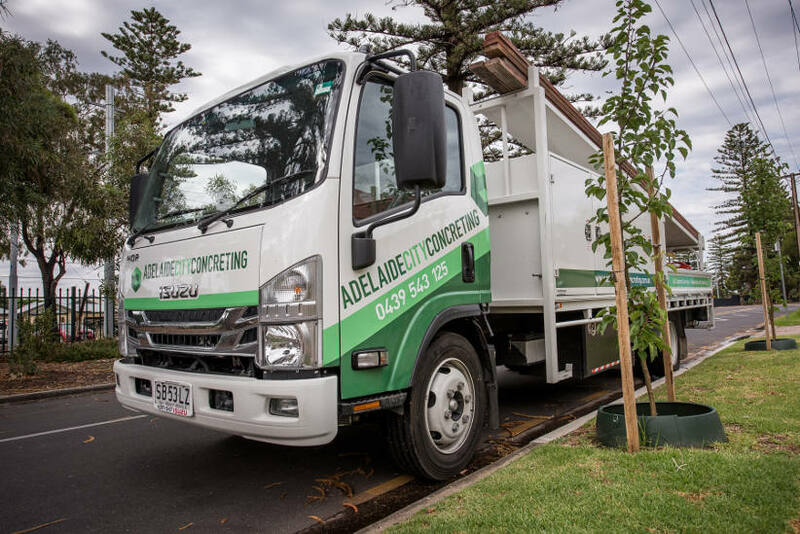 Concreting is a family tradition for the Rugolas – the craft being handed down by their father – meaning Adelaide City Concreting (ACC) is now backed by over 30 years of local experience. Ask anyone in the concreting game, and they’ll tell you just how back-breaking the job can be, so it’s no wonder Vince originally pursued a career in digital marketing. But, like many family businesses, concreting slowly drew him back into the fold, and it turned out to be a fortuitous change of direction for the Rugola family. 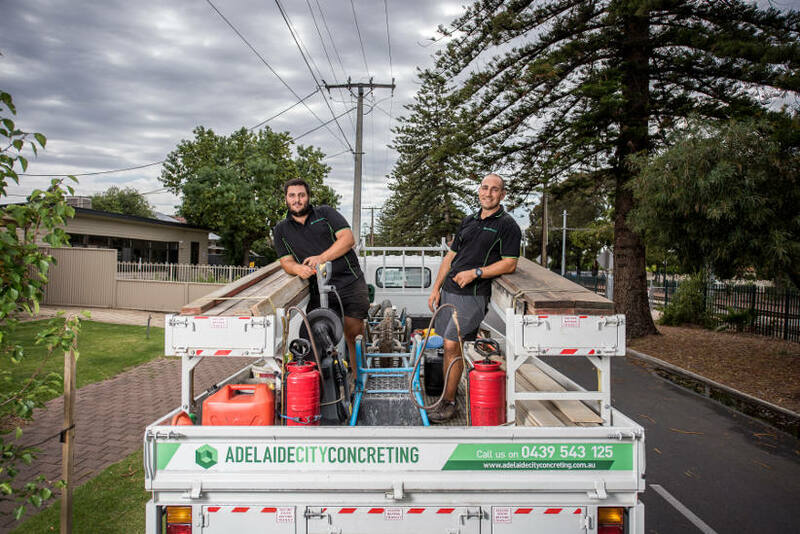 Vince’s marketing nous and Paul’s extensive industry knowledge has since combined to grow Adelaide City Concreting into one of the most respected and versatile companies in the Kidman Park area, west of Adelaide’s central business district. “Our business can offer any concreting service you can think of,” Vince said. “Everything from your driveway to a commercial carpark – you name it. “I run the business day-to-day, which involves quoting and scheduling the jobs and use of the bobcat. I basically try to keep the business moving. “Sometimes I even help the boys out on the tools,” he laughed. While it’s certainly not the brothers’ aim to screed the ‘City of Churches’ into a concrete jungle, demand for ACC’s services continue to rise, so much so Vince and Paul recently invested in an Isuzu NQR 87-190 AMT. “We sat down with North East Isuzu to plan the build and they manufactured the body exactly how we wanted it,” Vince said. “It carries all our tools, tin boxes, even our massive number of work boots! The NQR 87-190’s rated 8,700 kg GVM, 140 kW @ 2,600 rpm and 513 Nm @ 1,600 – 2,600 rpm, combined with the extra versatility of a longer wheelbase, means it has both the payload and grunt a growing business needs for future expansion. In addition, the NQR’s Automated Manual Transmission (AMT), with both clutchless and manual operation modes, ensures all that power doesn’t forego a safe and comfortable ride, even with a full load. “The AMT’s really good,” said Paul, who does most of the driving. “It’s smooth through the changes and drives just like a car. “When we were in the market for a truck, we never considered buying another brand,” Vince added. “We have an older Isuzu truck and it’s still operating as a run-around, carrying all our mesh. We’ve had that one for about seven or eight years now, but its previous owner had it for far longer. Whilst the bump-up in size reflects directly on the business’ bottom line, it’s the comfort and convenience of the NQR that’s captured Paul’s attention. “I actually prefer the cabin and features of our NQR to our new utes,” Paul said. “The Isuzu’s touchscreen is better-equipped and has far more options than the one in my ute. Isuzu’s Digital Audio Visual Equipment (DAVE) system, with 6.2 inch LCD touchscreen, CD / DVD / Mp3 playback, digital radio, Bluetooth with voice recognition and 4GB internal storage confirms Isuzu’s reputation for offering more than just reliable workhorses. “It’s awesome to have a truck with all the NQR’s features, it makes driving it really enjoyable,” Paul said. “But most importantly, having the NQR really helps our business image. “We’ve got our signage stamped all over it, it’s a great looking new truck and it doesn’t just make our jobs way easier, it adds to our professional reputation.” And this is a sentiment echoed by Vince.